As part of our mission to keep our readers informed of new developments, we now produce several blogs that allow us and our readers to stay up to date on breaking developments. We enjoy being part of the online knowledge community and encourage our audience to subscribe to our blogs and follow us on twitter. Seyfarth’s Business Immigration Group (“BIG”) provides comprehensive business immigration services throughout the U.S. and globally. Our BIG Immigration Law Blog provides breaking news, insights, legal analysis and resources on immigration, compliance and global mobility issues. BioLoquitur is the life sciences patent blog of Seyfarth Shaw, providing the latest legal news and updates on important patent-related issues affecting the life sciences. Carpe Datum Law provides timely updates on recent developments, trends, tools, best practices and discussions in the area of eDiscovery and information governance law, and information governance issues related to data privacy, information security, and records management. 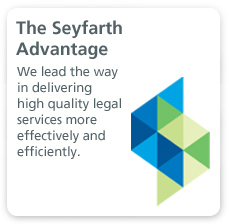 Seyfarth’s Consumer Class Defense Blog is a unique resource for executives and corporate in-house counsel to obtain timely developments, trends and game-changing decisions in the area of consumer class action law. 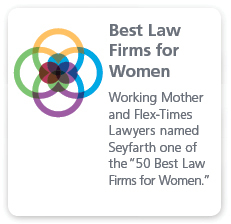 The Future Employer Blog offers exclusive insights, guidance and thought leadership from Seyfarth Shaw attorneys, focused on the transformative workplace issues faced by employers. The Future Enterprise blog offers news and insights for business and legal leaders as they invest in strategies that will support building new capabilities at the cross-section of people power and machine power. 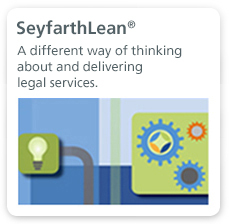 Essays on change in the legal industry by leaders of Seyfarth Shaw LLP. Seyfarth Shaw’s The Blunt Truth (TBT) will address the legal and practical implications of cannabis laws across the U.S. and their impacts on the business community. Whether you are a C-suite executive, in-house counsel, HR executive or lending institution, TBT aims to be a go-to source for updates, reports and analysis on the changes in cannabis laws and regulations and how they impact your business. The Construction Seyt offers concise updates in the field of construction law, with the goal of facilitating best practices from the design phase through commissioning for both domestic and international projects. The purpose isn't just to educate owners, developers, builders, and designers about developments in the industry: this blog also provides practical analysis for avoiding disputes and resolving disputes that do occur efficiently and with optimal results.